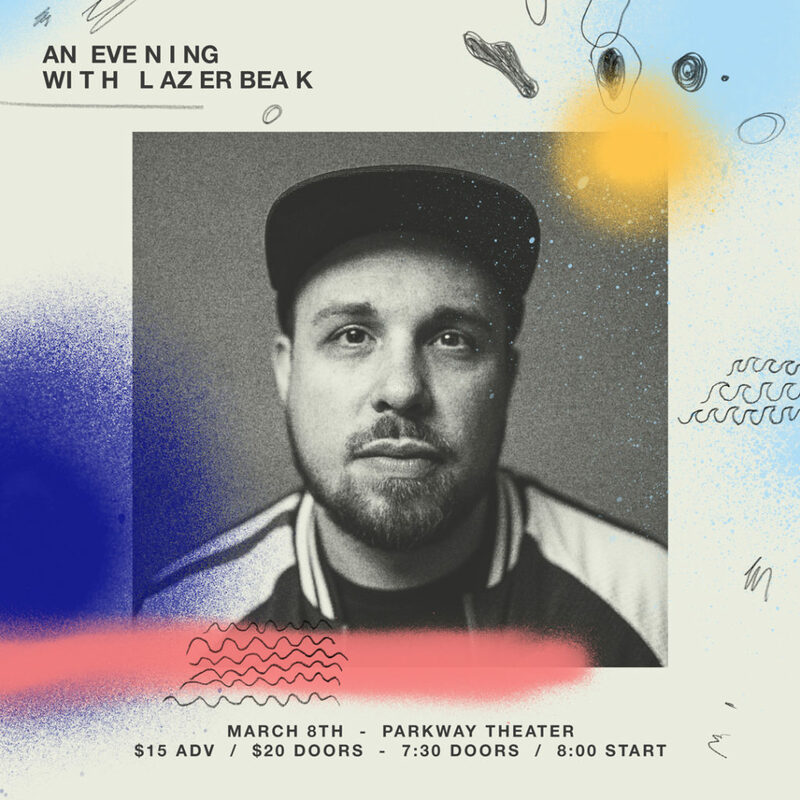 Welcome back to another round of Tuesdays With Lazerbeak! I hope everyone had a good MLK long weekend. We’re already three weeks into the new year and things are heating up pretty heavy over at Doomtree HQ. Last week we dropped this hilariously awesome new Four Fists music video from P.O.S and Astronautalis. It’s for the song “6666” and was directed by our go-to guy Isaac Gale. Shouts to Forbes for the world premiere. You can check out their write-up and an interview with Stef and Andy right HERE. Then watch the video in all of its glory below and spread the word! P.O.S, Astronautalis, and the homie Subp Yao have been absolutely crushing the UK and European legs of this massive #6666 World Tour. Huge shouts to everyone that has come out so far. 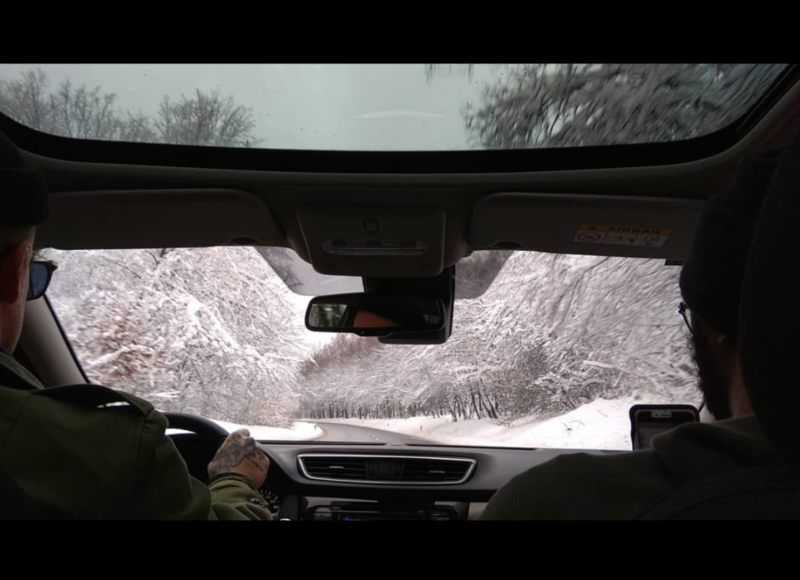 Here’s a picture of the guys off somewhere in a frozen winter wonderland, headed towards a city near you. 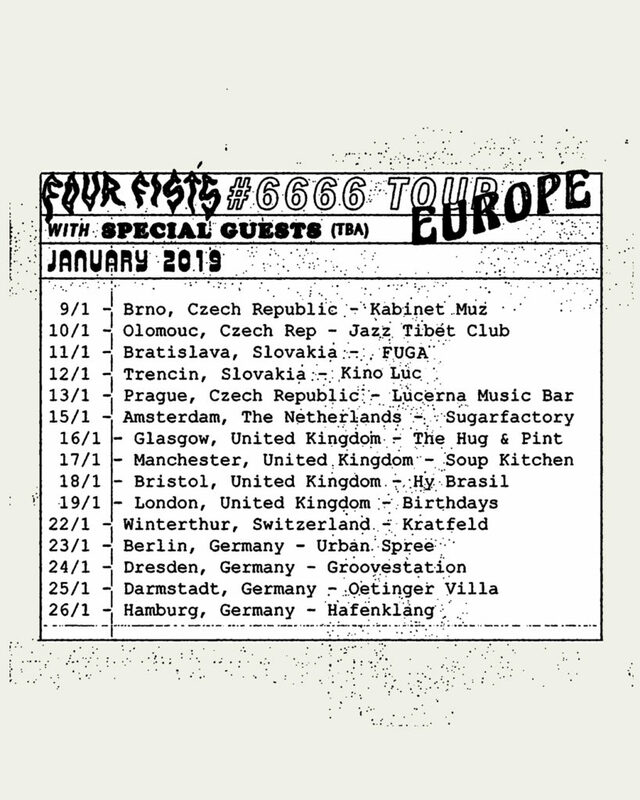 We’re down to the handful of Four Fists shows and the dudes will be hitting a bunch of cities throughout Switzerland and Germany this week before heading back home. Check out all the dates below and make sure to let your people know if they live anywhere nearby. Details and ticket info right HERE. And speaking of radical shows and tours (SEGUE!!! 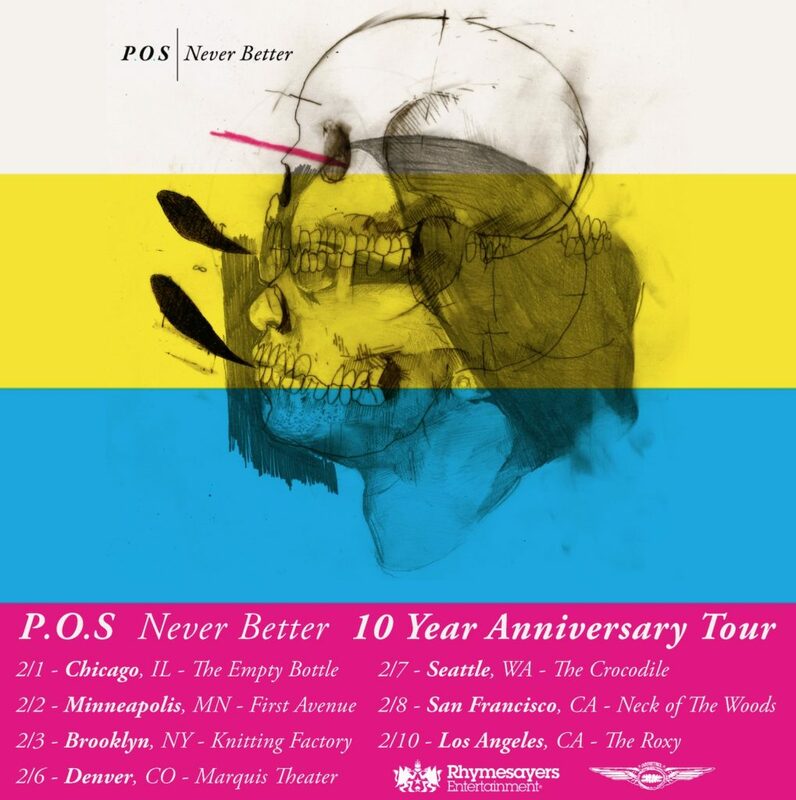 ), P.O.S will be heading back out on the road in just a little over a week to celebrate the 10 year anniversary of his classic album Never Better. Chicago, Minneapolis, Brooklyn, Denver, Seattle, San Fran, and LA parties are all on the docket and tickets are starting to move real fast for these special events. Check out all the dates below and grab your tickets HERE before they’re gone. And don’t forget to order your copy of this new limited-edition Never Better triple LP. Orders will be shipping out at the end of this month and you can grab yours right HERE. Now for some big personal news on the Lazerbeak front. I’m extremely excited to announce the Luther album release show. It all goes down on Friday, March 8th at the beautiful and newly renovated Parkway Theater in South Minneapolis. Gonna do a real grownup “Evening With Lazerbeak” for this one with a lot more than just playing the album live. Tickets go on sale this Friday at 10:00am CST and more details will be unveiled as we get closer to the date. You can grab yours right HERE. Should be a really special night. And don’t forget to grab a physical copy of Luther from the Doomtree Webstore. We’ve got Standard, Deluxe, and Collector’s packages in price ranges that fit all types of budgets. Here’s the crazy Collector’s package below. Get yours HERE. I’m gonna be dropping a new song from Luther later next week but in the meantime you can check out first single “Winging It” below. Really proud of this one. 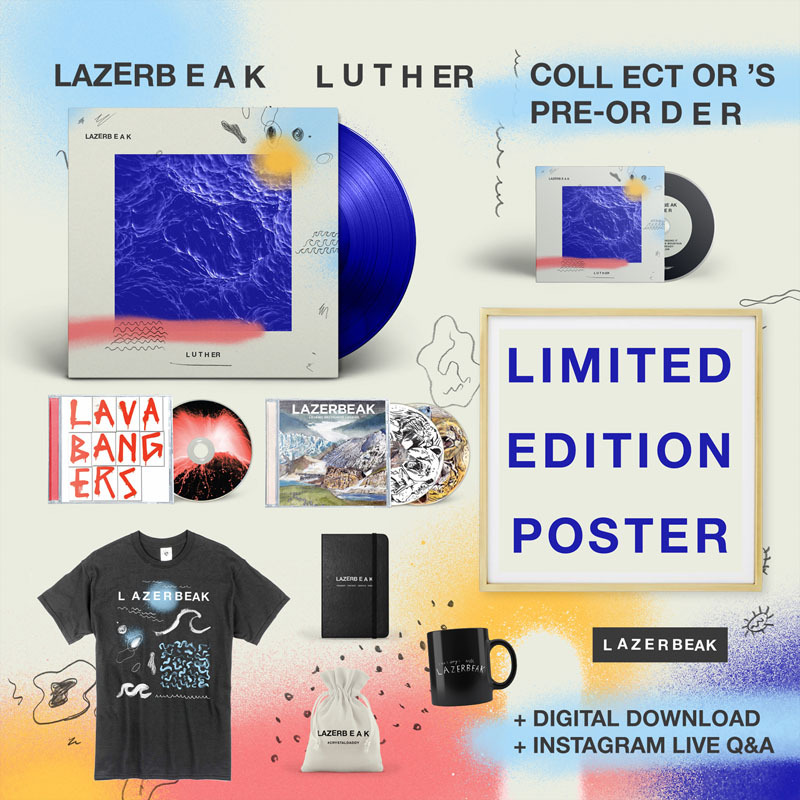 Last week I unveiled this crazy all-encompassing Lazerbeak Discography playlist on Spotify in anticipation for the new solo album dropping next onth. It’s over 300 songs that I’ve had a hand in creating over the past two decades. Everything that I could remember and find on Spotify at least. Check it out below or save it to your playlists right HERE and enjoy going down the rabbit hole. And while we’re on the subject of jams, let’s break out the first Bonus Jams segment of the new year. Gonna start things off with the new single from The Greatest American Rock Band Of This Century aka The Killers. If you read this blog at all, you know how crazy I am about this band. They’ve really out done themselves this time around though with this new “Land of the Free” song. They’ve always been pretty ambiguous about politics in their music, so I really appreciate them speaking up and speaking out about the horrible anti-immigration policies afflicting our country as of late. Check out the song and video below. Kehlani is like 7 months pregnant and still dropping HEAT. Here’s her new single with Ty Dolla $ign. There’s supposedly a new mixtape dropping any day now too. Can’t wait to hear what she’s been up to since the instant classic SweetSexySavage. Lizzo is back and gearing up for a hell of a year. This new “Juice” single is a smash hit and I know there’s a lot more where that came from. Very excited for the her and the squad. I’m loving this new Outer Peace album from Toro y Moi on first listen, especially lead track “Fading.” Excited to spend some more time with it for sure. Ex-Danity Kane singer Dawn Richard just dropped an absolute HEATER with this “Sauce” song. She’s been doing some really creative new R&B over the last few years and I really hope this means there’s a new project on the way. Getting v pumped for the new project from Boogie. This new “Silent Ride” single rules. Shouts to my podcast superhero Jeyca Maldonado for reminding me about the new Bad Bunny album. In addition to getting Drake to rap in Spanish, this thing is jam packed with hits front to back. Here’s one of my favs below. Our good friend Chris Conde released a brand new album at the top of the year called Growing Up Gay. Shredders had the pleasure of playing a few shows with Chris in Texas last year and his live show crushes. Super happy to hear these songs on record now. This is a really amazing album that goes a lot of different places both lyrically and musically. Highly recommended. Grab it right HERE and support Chris directly. Major shouts to the homie Andrew Broder for continuing to put on his extremely inspiring January residency and bringing the Twin Cities together through art, culture, and social issues. He’s been dropping a ton of awesome new music to coincide with the residency and this “Laissez Les Bon Temps Rouler” is definitely a standout. Check out the song below and make sure to attend one of the last residency shows at the Turf Club this month if you’re in the area. Details HERE. Dua Saleh just released their fantastic debut EP. It’s called Nūr and I can’t recommend it enough. Beyond worthy of all the critical acclaim it’s been receiving. Check the whole thing out below and get familiar. Shouts to Psymun on the stellar production too! K. Raydio and producer Shrimpnose have been dropping some excellent teasers leading up to their upcoming collaborative project. Really excited for this one. Check out “Cabernet” below. Loving this new visual for Maria Isa’s single “Tuyo” from last year’s excellent Sasa album. She’s been putting it down in the Twin Cities for years now and showing no signs of slowing up. So good! Major congrats to Afrokeys and Davis Bain on the release of their second BAIN album Around The Sun. The album is fantastic and super unique with a killer vibe that lands somewhere between Sade, Kem, and Sting. I’m a huge fan of these guys. Check out the whole thing right HERE. BAM! That does it for this week’s Bonus Jams. 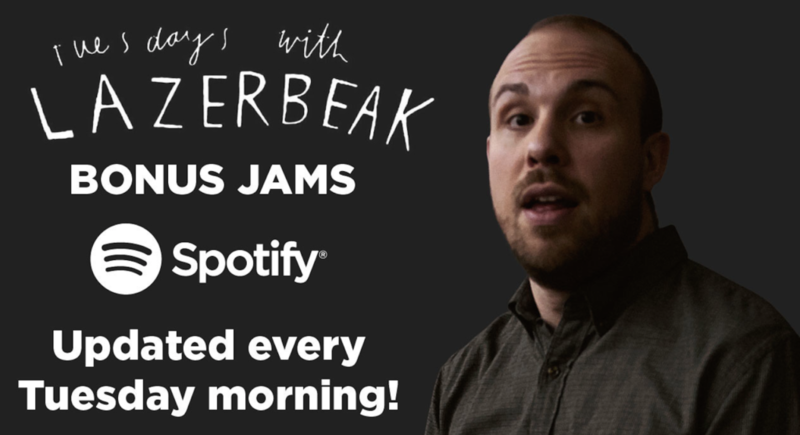 As always, you can check out the full Tuesdays With Lazerbeak Bonus Jams playlist on Spotify right HERE and save it to your personal playlists. I update it every Tuesday with whatever I’ve been bumping at the time. Alright, I hope you all have a wonderful week. Stay warm and I’ll see you back here next Tuesday with some new solo music!